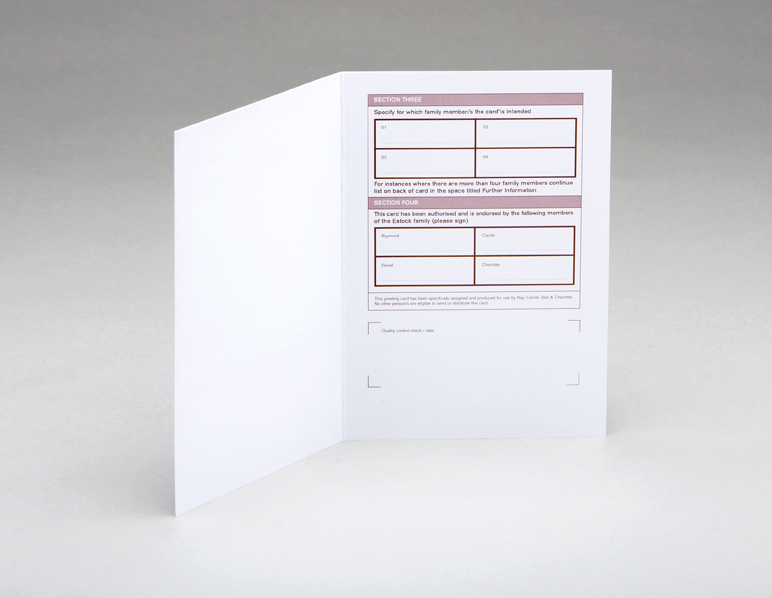 The act of sending a card at Christmas time requires a huge amount of organization and planning. My Mum and Dad keep a Christmas card mailing list, which they update every year. 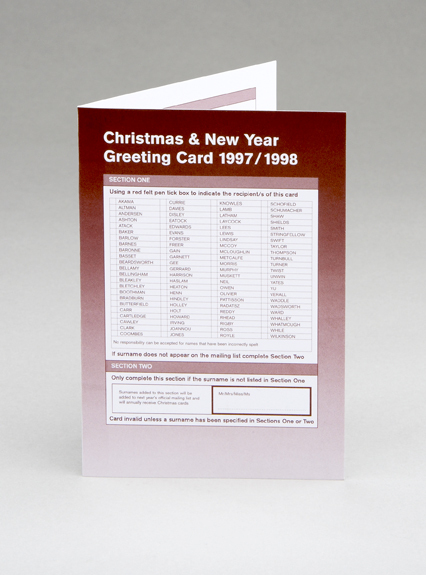 In 1997 I created a card that displays all recipients’ names in alphabetical order, including a section to accommodate names that may have been left off the list by mistake. Writing the card becomes a reflective process that exposes the network of recipients, many of whom know each other.